Juan Hidalgo is the main character in my book, which is written from his point of view and describes his incredible life, his loves and his work. He was an actual person who lived in Madrid in the 17th century. 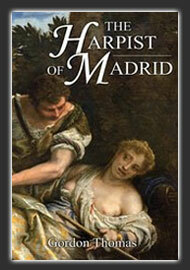 He was a harpist in the royal chapel and played for the king of Spain, King Philip IV. Hidalgo was the most famous Spanish composer of his time. He wrote the music for the first two operas in Spanish. 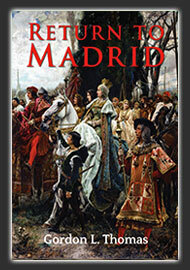 Hidalgo was born in Madrid in the September of 1614. His father was Antonio Hidalgo and his mother Francisca de Polanco. Hidalgo’s grandfather on his mother’s side, Juan de Polanco, was a guitarist. He and his wife, Juana Diaz, had two daughters so there was no son to follow him into his profession. His son-in-law, Antonio Hidalgo, decided to adopt the profession and become a guitarist. Juan Hidalgo was therefore born into an intensely musical family. It is likely that his father taught him to play the guitar. It is not clear when he began to play the harp. In 1631, Hidalgo, at the age of seventeen, joined the royal chapel as a harpist. There is some doubt about the exact year. The earliest existing record of payment to Hidalgo is 1633 so this is also a possibility, as is 1629. The latter can be deduced from a document of 1673 in which Hidalgo states he had already been serving the king for 44 years. The year 1631 can be substantiated from two documents which bear the royal seals of 1640 and 1641. In the first, Hidalgo tells the king that he has been working for him for nine years and his worn out harps need to be replaced. In the second he reminds the king of his earlier request and says that by then he has been working for him for ten years. In 1638, Hidalgo offered to serve the Spanish Inquisition as a familiar, which is an honorary, mainly administrative post. Having completed the necessary investigations – including to check on his ‘purity of blood’ – the Holy Office of the Inquisition of Toledo found that he satisfied the relevant criteria and appointed him to the post. Normally, they granted this position to married men over the age of twenty-five but he was single and only twenty-four and met the qualities of character needed. Only a short time after, he was promoted by the Inquisition to the more substantial post of notario. There is evidence to suggest that Hidalgo invented the clavi-harp, which, as its name suggests, is a harp like instrument played from a keyboard, akin to that of the clavichord. There is doubt, however, about whether indeed Hidalgo did invent this instrument. 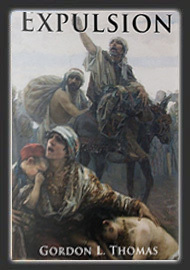 He became accomplished at playing this instrument, too, and was referred to as ‘harpist and clavi-harpist to the king’.